Charitable gifts to the ROTC program provide support for initiatives beyond what governmental funding makes possible. 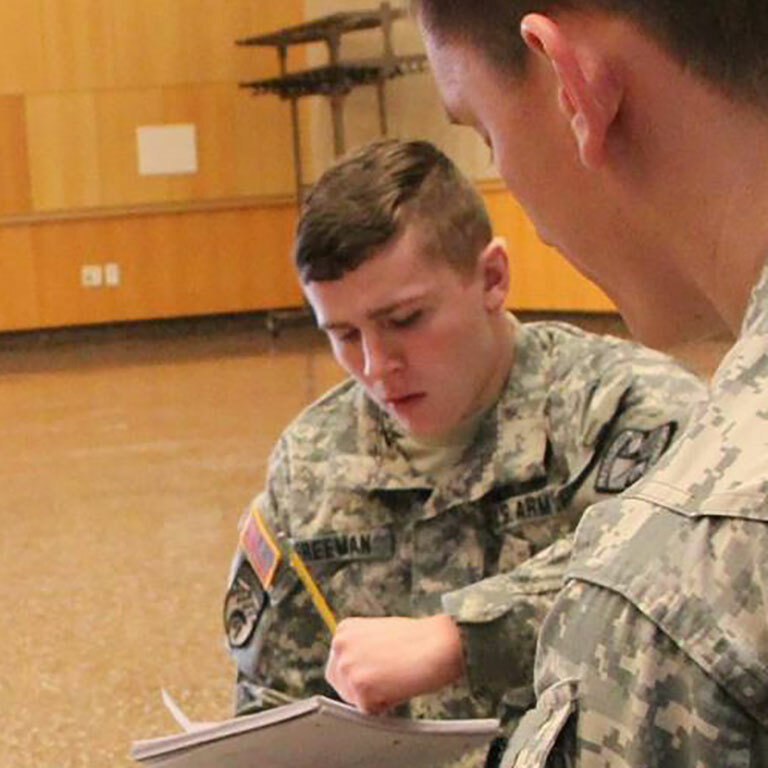 By contributing, you position cadets for personal success through dynamic learning opportunities and scholarships. You help us have an active student presence on the IUPUI campus and within our community. And, you demonstrate your pride in ROTC and the Army. Thank you for considering a gift to our program. I’ve been able to reduce the amount of my student loans, so I won’t have a mountain of debt to pay off when I graduate. Want to talk about your charitable gift? Or, are you ready to support cadets today?